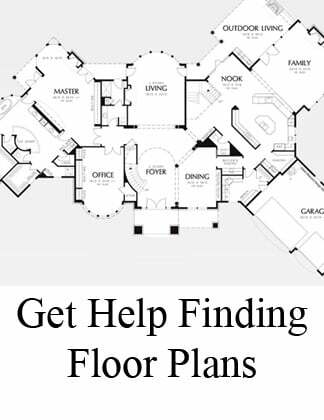 One story floor plans with a basement can be hard to find - so we've put together a list of some great floor plans that include a basement level. 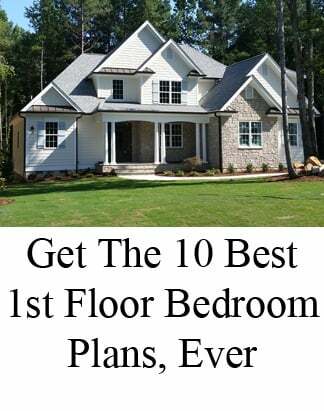 These plans will give you a good idea of the common layout options and features within Raleigh basement homes. 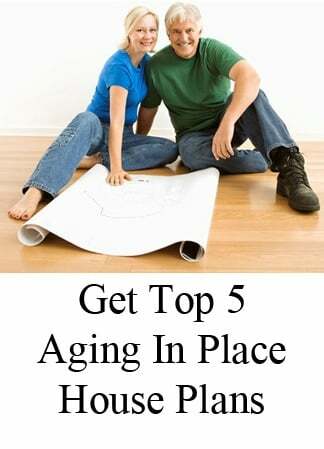 We'll also give you tips for how to choose the right home plan - to help you consider the benefits of a basement home. The Wickham has it all - from luxury design such as a professional style chef's kitchen to practical features such as work and mud rooms. Total Living Area: 6228 sq. ft.
On the first floor, a sprawling kitchen and great room invite those who love to entertain. A massive master suite with spa bath acts as a retreat, after you're done working in your home office complete with fireplace. 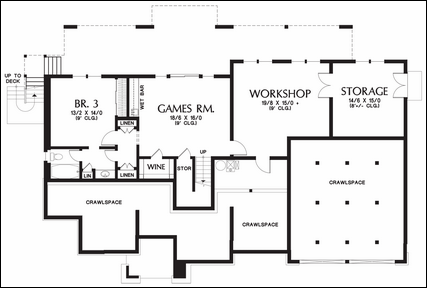 On the basement level, three bedrooms are spaced around a game room, crafts room, exercise room, and bar. The Briarwood is a "Prairie" style house with low, horizontal lines drawn to blend the interior space with the flat surrounding terrain. On the first floor, the island kitchen opens to the informal dining room and great room. A mud room leads to the three car garage. The master bedroom features a spa bath with oversized walk in closet. An exterior staircase leads to the basement level. This basement has a dual-purpose design. 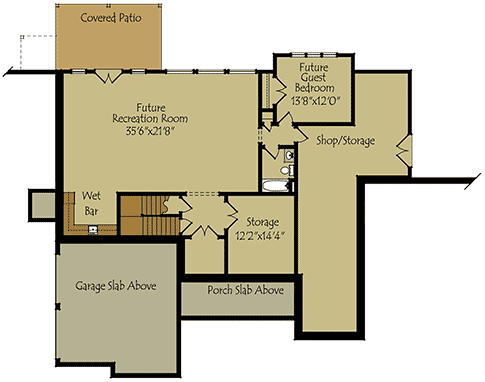 Like many basement plans, a third bedroom, bath, and games room offer separate living quarters and hang out space. 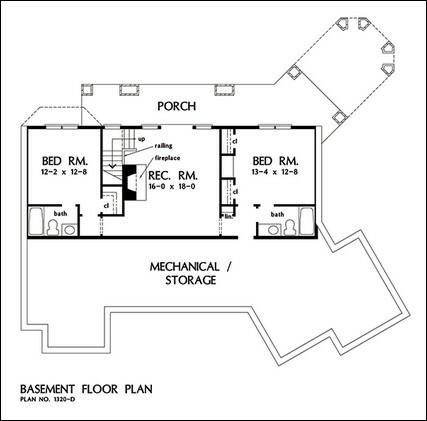 This basement plan also incorporates a separate workshop with storage room. 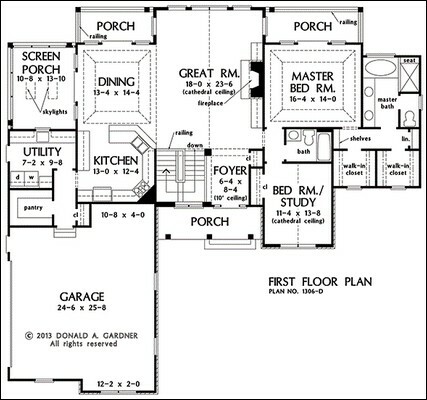 The Rainey is a Don Gardner home plan designed for a hillside or sloped lot. 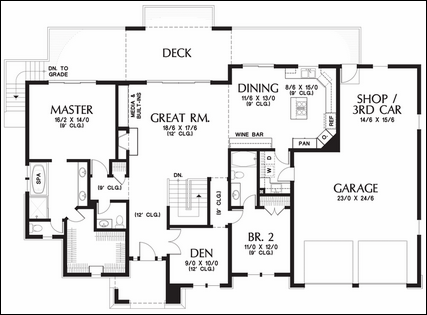 Total Living Area: 2966 sq. 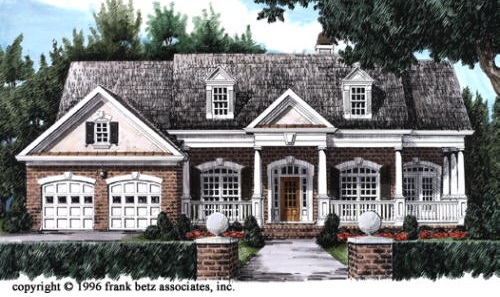 ft.
Don Gardner walkout basement home plans emphasize outdoor living spaces with porches, screen rooms, and decks and views of the surrounding landscape with plenty of windows. 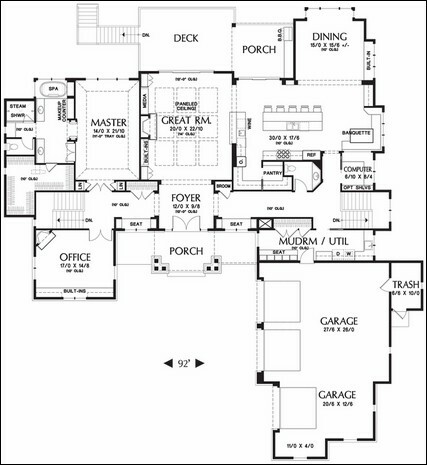 On the first floor, the U-shaped kitchen is open to the formal dining room and great room. A mud room and walk in pantry offer plenty of utility and storage space. The master bedroom has private access to one of two rear porches. 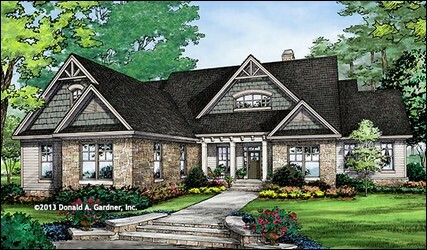 On the basement floor, lower porches and a patio add to the expansive outdoor living space in this plan. A large family room with fireplace separates bedrooms 3 and 4. A bathroom is tucked around the corner. 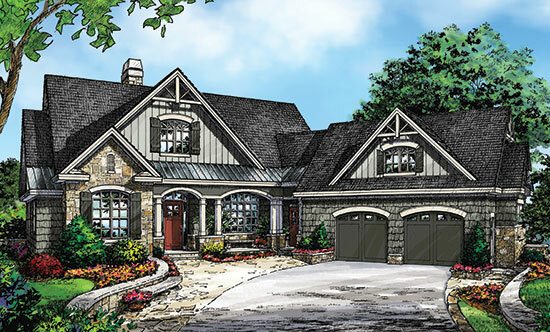 The Butler's Mill Cottage is a Max Fulbright Designs home plan designed for a sloped lot. On the first floor, the foyer opens into a spacious family room with fireplace. An island kitchen faces an informal dining area. The his and her master suite is a spacious corner suite. A separate mud room and laundry room are placed on opposite sides of the home. A grill deck with stairs to the lower level adds essential outdoor living opportunities. 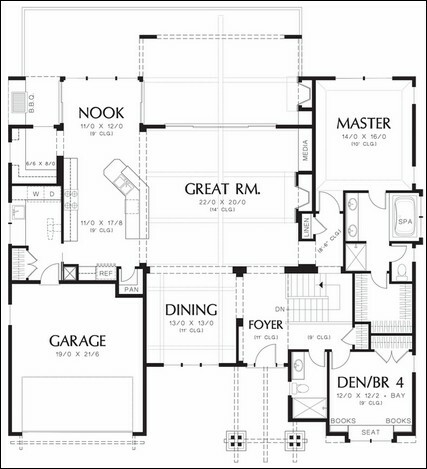 The Sabrina is a one story floor plan designed for an optional basement. A wrap-around covered porch welcomes visitors. Past the formal dining room, a spacious kitchen with breakfast bar opens to the family room. 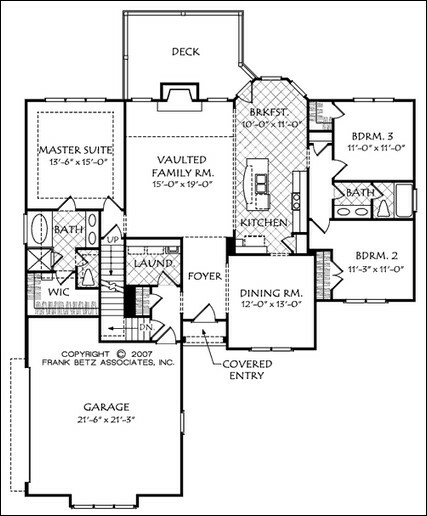 In this floor plan, a homeowner desiring a basement level merely tells the builder to extend the garage forward, and an optional staircase is added behind the Laundry Room/Bedroom 3. The basement level can then be designed to meet the homeowner's exact needs - a typical layout can include a large Recreation Room, an office, an exercise room, and storage. 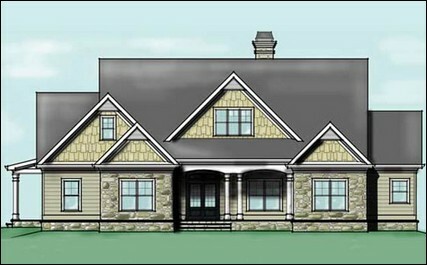 The Manchester Walk is an efficient home design that offers an optional second story bonus room and basement level. Total Living Area:1760 sq. 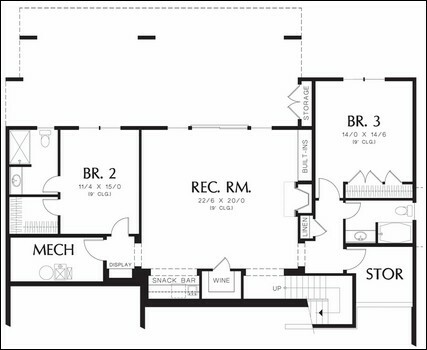 ft.
Opt second floor: 323 sq. ft. 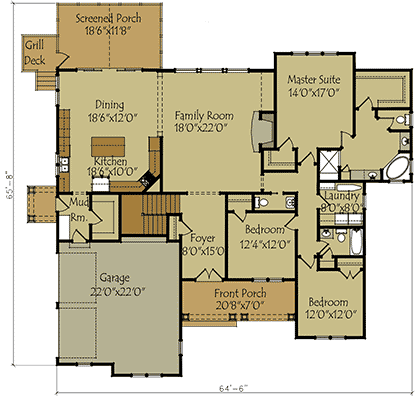 In this home plan, the master suite and secondary bedrooms sit on opposite ends of the home. A gormet kitchen with rounded island faces the family room with fireplace. A breakfast nook opens to a rear deck. 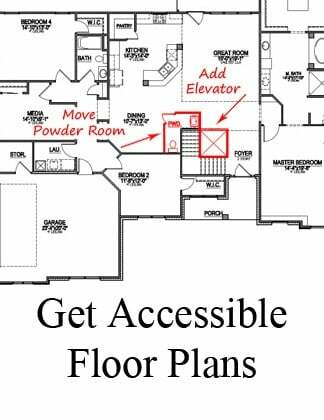 In this floor plan, the "up" and "down" arrows on the staircase located just off the garage indicate access to the optional second story and basement. 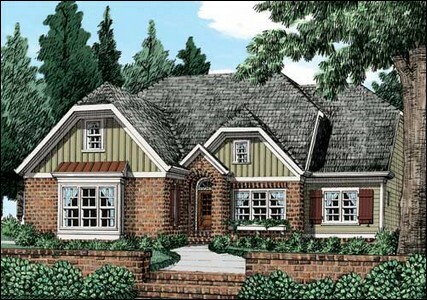 The Butler Ridge is a Don Gardner home plan designed as a hillside walkout plan with Old World European influence. Total Living Area: 2896 sq. ft.
An angled courtyard garage connects to the home through a mud room breezeway. A massive two island kitchen opens to the great room and angled dining room. The his and her master suite has private access to the back porch. There are two bedrooms in this basement floor. One bedroom has a private bathroom; the other bedroom has a buddy bath (with access from the bedroom and the hallway). A large rec room with fireplace sits at the center. 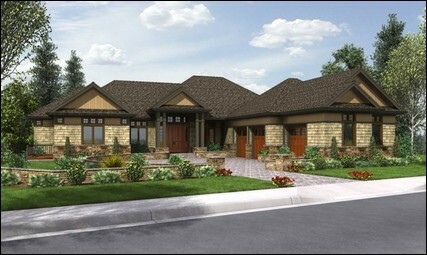 The Glen Abby is a five bedroom home offering luxury living spaces. Total Living Area:3206 sq. ft.
Opt. basement: 3206 sq. ft.
Opt second floor: 309 sq. ft.
Click here to see a photo gallery of a similar home built near Raleigh, NC - The Avonstone Manor. 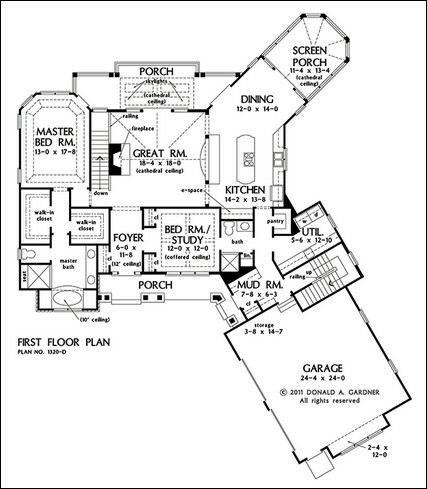 In this floor plan, the "up" and "down" arrows on the staircase located just past the garage indicate access to the optional second story and basement. 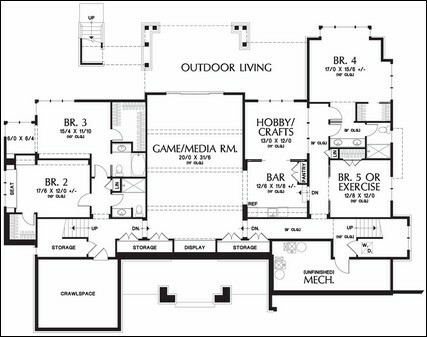 Total Living Area:3171 sq. ft. 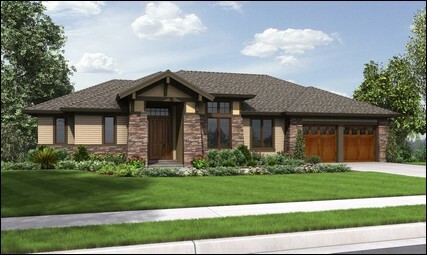 The first floor of the Tumalo home plan features an island kitchen, mud room, large master suite, and open great room. 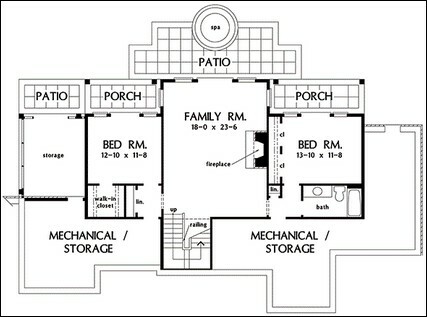 The basement floor features a lower deck, exercise room, rec room, bedroom with attached bath, and wine cellar. A bar area or wine cellar is one of the most popular basement home features. 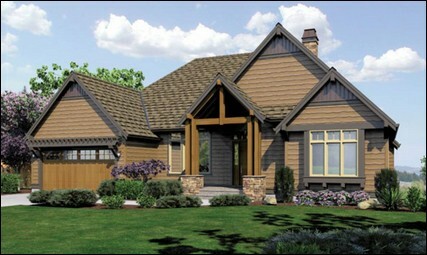 The Sycamore is a craftsman lodge home plan designed with natural materials and views in mind. Total Living Area:3565 sq. ft. There are several traditional floor plan features in this home, such as the formal dining room just off the foyer and a galley kitchen. In place of the formal living room is a den/bedroom. An expansive outdoor living space enjoys its own fireplace, kitchen, barbecue and built-in storage - a modern living appeal. Downstairs, two additional bedrooms and baths surround an oversized recreation room.